A series of drawings exploring what Harold Bloom termed "the anxiety of influence." Each book tackles questions of ontology. Most begin with ideas posited by Martin Heidegger in his seminal Being and Time. 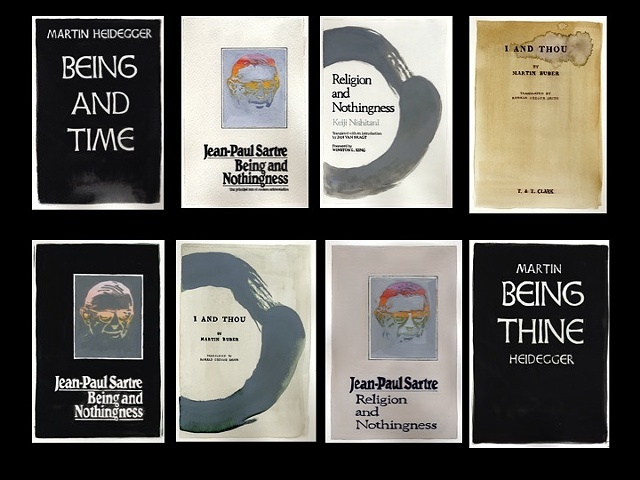 Throughout the series titles and authors are mixed and matched to question what might have happened if these thinkers had been born in a different succession. Additionally, there is the issue of representing the "big questions" through the graphic design of these book covers.